Fatoki community in the Egan, Igando area of Lagos State, has been deserted, after no fewer than 100 gunmen attacked the area in a three-day onslaught. It was learnt that during the siege, the gunmen, suspected to be militants, shot three residents and looted shops and homes in the community. Aside carting away drinks, including herbs, the men reportedly stole generators, televisions, laptops and refrigerators. It was learnt that the robbers entered into the community through the waterways. It was gathered that the community was bordered by water, which made it susceptible to attacks from militants who lived in the surrounding creeks. When Punch correspondent visited the community on Thursday, he observed four families locking their houses and hurrying out of the area with their loads. One of them, a trader, who was still in shock, declined comment. A resident explained that the trader had been robbed two times in the three-day siege. The resident, who spoke on condition of anonymity, said the community had been peaceful until two months ago. He said, “A man had run out of the creek in broad daylight, naked and scared. He was stopped by our security men. We thought he was mad, but upon interrogation, he said he was kidnapped by the militants and they had just released him. We called his relatives and they confirmed his story. Another resident said that the robbers promised to return the day after to continue the attack. He said, “Those people returned on Tuesday around 12 noon. Some of them wore red masks. They spoke English and a few even spoke Yoruba. They ordered everyone to lie down. They took away my money and carried away my neighbour’s generator. A woman, who claimed to have also been attacked, said she was not around when the robbers struck the first two days. “I was in my room with my family on Wednesday evening. We were seeing a movie around 9pm when I saw four of them enter my room with guns. They ransacked my house and took away my phones and other valuables. They took a huge sum of money I wanted to use for business. I am bankrupt,” she said. A trader, who asked not to be named, said the men broke into her shop and stole fruit juice and herbs. “They carried my refrigerator along with them and put everything on the boat they brought for the operation,” she added. A resident and community leader lamented that although the Wednesday operation lasted for about two hours, the police didn’t show up until the robbers were gone. “And when they came, they only patrolled the entrance to the community; they didn’t get to the crisis spot,” he added. The Police Public Relations Officer, SP Dolapo Badmos, confirmed the attack, adding that two suspects had already been arrested. She said, “The command received the report at the early hours of today (Thursday). 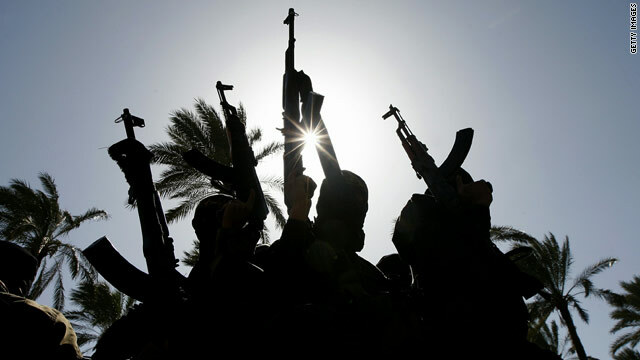 We gathered that some militants attacked the community. The Igando Divisional Police Officer led operatives to the scene and upon sighting the policemen, the militants fled; but two of them were arrested. The arrest led to the recovery of ammunition.